School’s out! Summer has come, which can only mean one thing. Heat, absolute heat. It’s a hallmark of summer. I will come out and say that I am a person paranoid of extreme temperatures and significant changes in temperature. In fact, I highly dislike summer. I have a multitude of reasons why. It’s hot, it’s too hot. Well I hear what you’re saying. But I have to admit, I’ve been to the beach several times and there’s nothing like this there. What’s more I don’t like how the sand gets all over you. Now I won’t show you what my beach is actually like because I’m ashamed of it, so we’ll just say bye to the beach. I could but I happen to also be hydrophobic. I’m afraid of large bodies of water and I can’t swim. What a terrible fate to live on an island and be unable to swim. Alas, such is my fate. Makes one wonder how I’ll be able to one day live the trip to Japan. But I’ll wait for when the time comes in regards to that. Honestly, I don’t like the beach probably because I’m so used to it after living two blocks away from it for years. But I love my idols associated with the above. Who doesn’t? I mean, Airi and Takahashi and ugh so good. As I had mentioned before I was interested in doing the Intlwota Summer Refreshment Program and here is my post sponsored by Intlwota. Read on for long long passages of text outlining the conspiracy about idols and summer. Just kidding, read on for a fun summery article on something that I’ve noticed. Which really means it’s a conspiracy. So something that makes me happy during summer is not being hot. I leave that to the girls. But really, aren’t there times when you say, “it’s too hot.” I say that everyday because I have no air conditioning and there’s no breeze until 2AM. It’s funny, I actually live in Atlantic City during the summer and I have no air conditioning. Imagine that, no AC in AC. So how else should we stay cool? It’s a time honored tradition in summer to have cold refreshments. It happens year round, but something about summer makes the refreshments even more refreshing. You remember that annoying truck that comes by your block and charges you ten times the amount that you could get it at Sam’s Club. Yeah, it’s amazing how they stay in business. Ice cream is nice and all, but I happen to be lactose intolerant. I bet you were expecting that weren’t you, after every single excuse (which wouldn’t be excuses if those earlier pictures were of my local beach) I had about not going swimming or to the beach. Well, since I can’t have ice cream there are other alternatives. Who doesn’t love fruit? 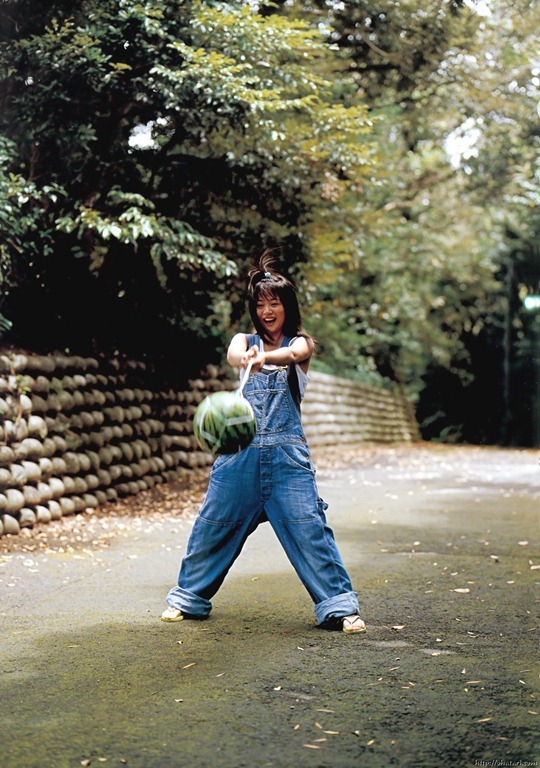 My favorite happens to be Gaki-san oranges. I love me some Gaki-san oranges. These treats are common and can be found at your local convenience store. But I’m sure you all have seen some other summery treats from Japan that are not the standard here in America. 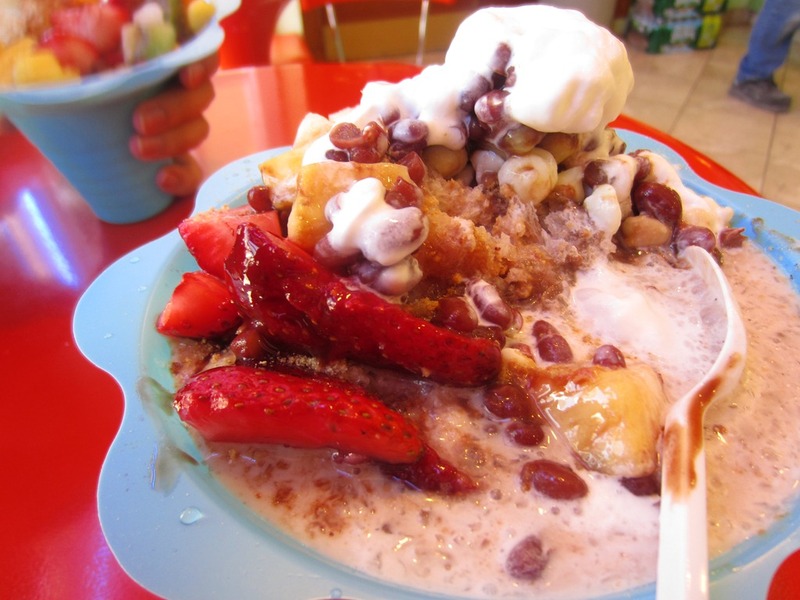 For example, shaved ice! 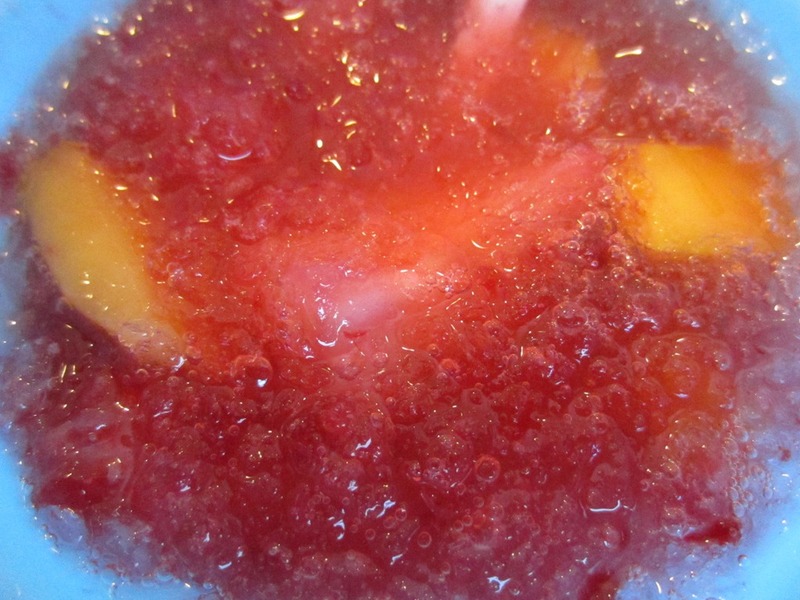 I don’t know about you but I didn’t have shaved ice until much later in life. Instead I had the inferior American version, a snow cone. Well, if you’ve never had shaved ice before, go have some. It’s a nice treat and quite different from ice cream, namely no milk. 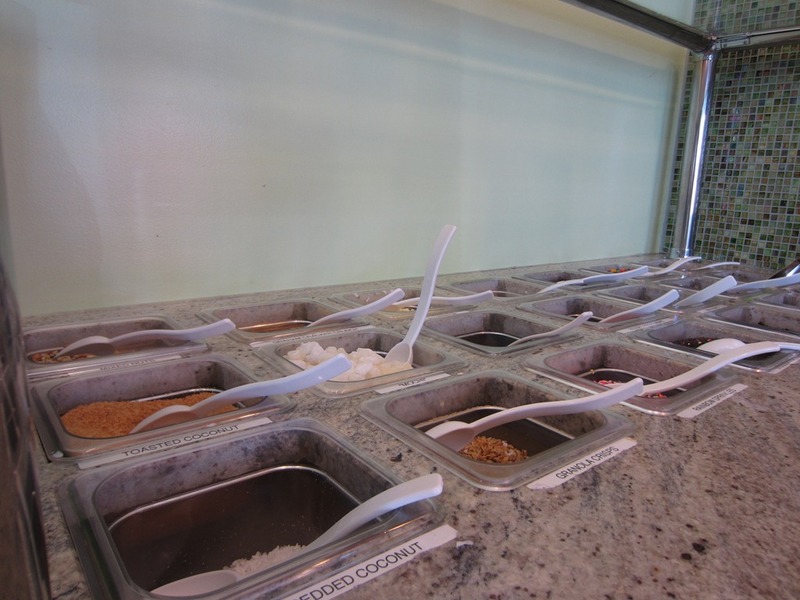 So for this post I went down to the famous dessert shop, Fruity Yogurt. There are three locations in New Jersey and I went to the very first one founded in New Brunswick, where I go to school. That’s not me by the way, that’s my roommate taking a photo opportunity. Despite it reading bubble tea & café, I don’t think anyone goes there for their bubble tea. 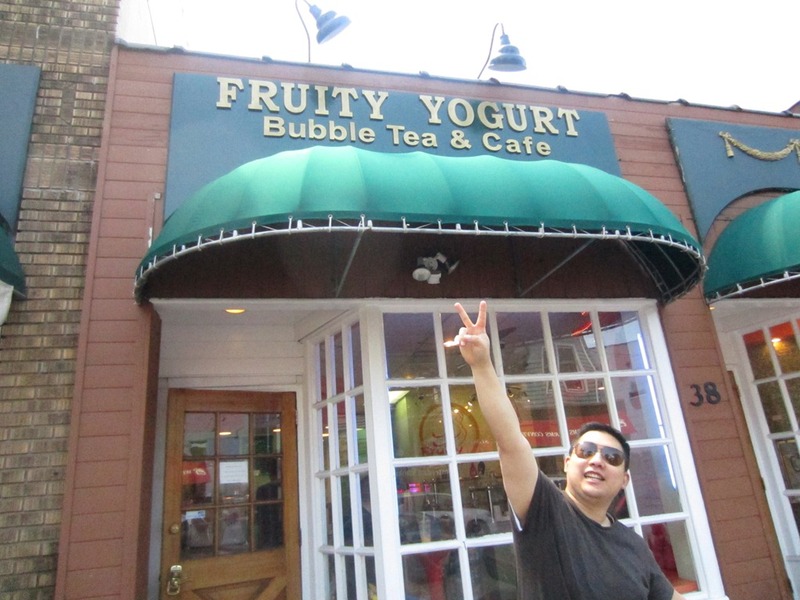 Surprisingly there are more than five places to go for bubble tea in the span of several blocks. 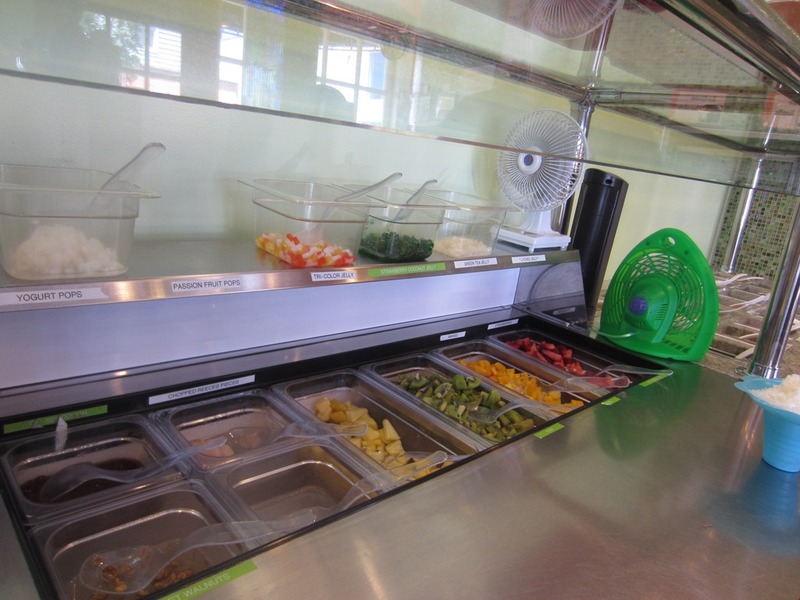 They are however most popular and unique for their frozen yogurt and more recently shaved ice! The uniqueness of Fruity Yogurt is that you pay a flat rate based on the weight of your frozen yogurt, regardless of whatever flavors or toppings you have on it. 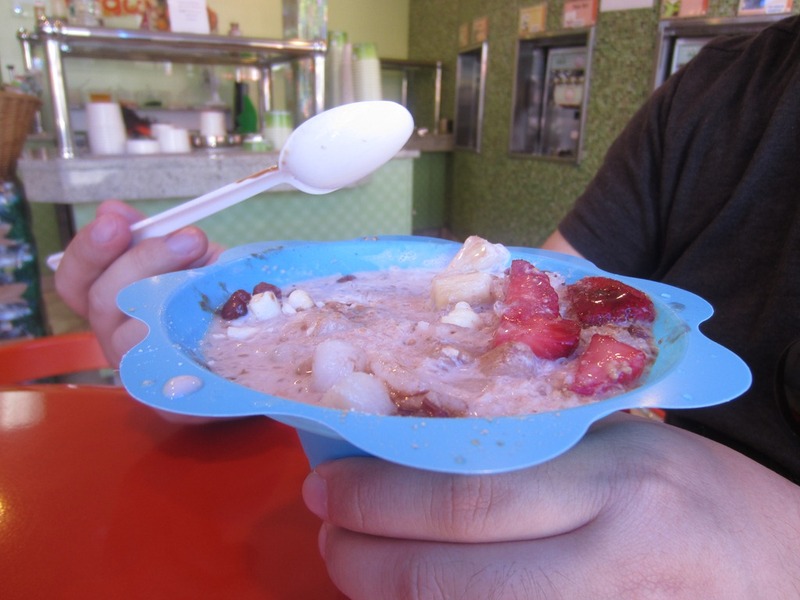 In the case of shaved ice, you pay a flat amount for three different sizes. 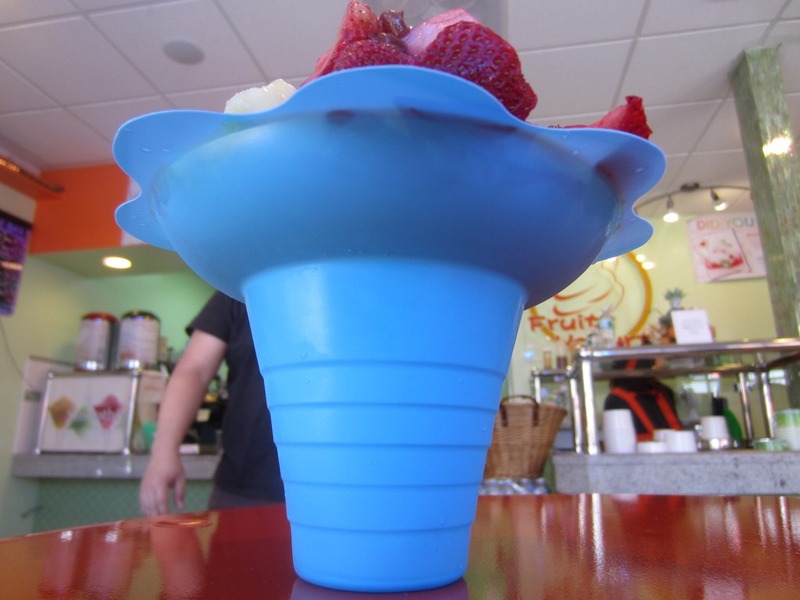 You get shaved ice to fill in the cup and then go to town on the toppings. And look at all those toppings! You can top your treat with fruit, nuts, even mochi! I quite like Fruity Yogurt, there’s so much variety in the spirit of creating your own dessert. To the left is my shaved ice topped with mochi, pineapple, kiwi, mango, strawberries, red beans and passion yogurt pops. My roommate was rocking a lot of condensed milk and whipped cream on top of strawberries, red beans and some other stuff I can no longer clearly make out. Doesn’t it look great? Here’s a picture of the aftermath. That brings me to my point, which has nothing to do with summer except for the aforementioned cold and ice. 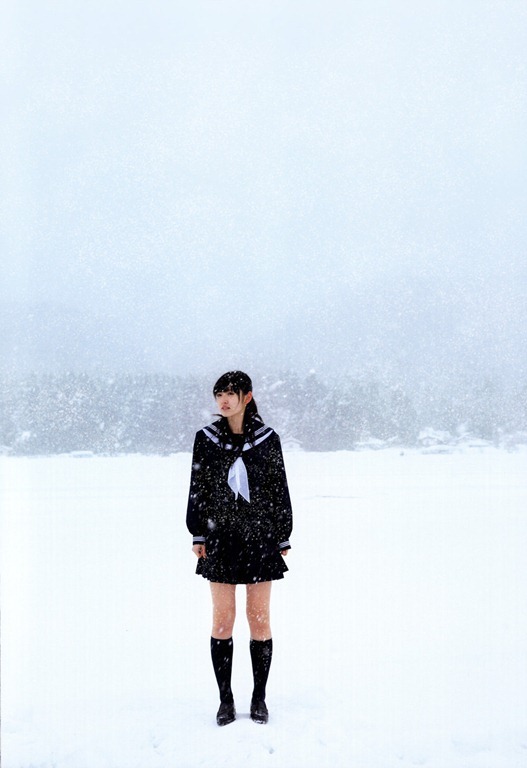 Besides all these obligated summery bikini and beach shots, I have noticed that there are quite a lot of photobook shots that involve our idols in extremely cold weather conditions. No, see these are the ones where they’re actually clothed to the point where they should be able to handle that weather. These are like the bikini shots of winter weather. Well you know except they’re not wearing bikinis. They’re wearing weather appropriate wear. It’s just all too convenient to let the idols frolic around in the sun. I suppose for every good thing there must be something to counteract it. The girls seem to be somewhat pampered. You got to give them some rough treatment from time to time. That’s what I think at least. But you know what, I think it’s refreshing to have these cold pictures too. 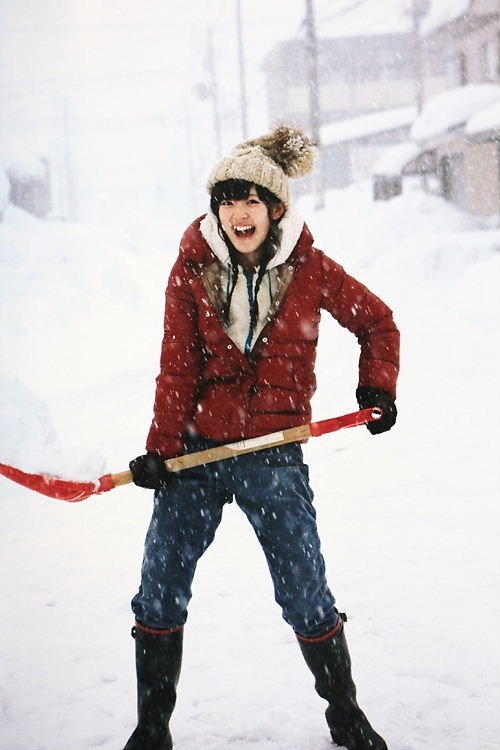 The fact that Airi’s new photobook has cold snowy pictures even though it was released in the spring-summer months suggests to me that I should take these as a refreshing breather. These should be a refresher in between bikini and casual pictures. Before of course, the bombshell that will just totally incinerate my eyes. I meant that in a good way. I’m looking to be the proud owner of both of Airi’s two new photobooks very soon. It will be a glorious summer and I will need lots of cool refreshments, lest my nose start bleeding every other page. I’m hydrophobic as well! Well, sort of. I can swim to an extent, but if water’s up to my neck I freeze/freak out. 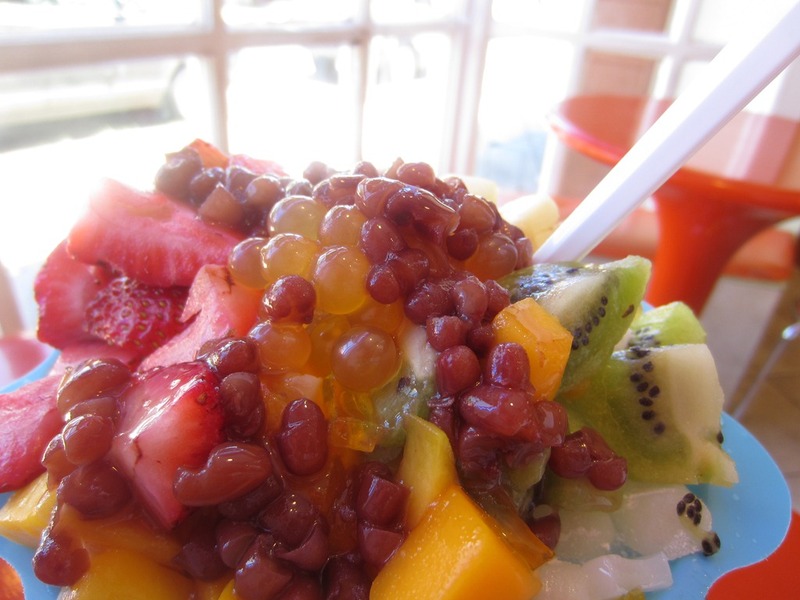 Also, that shaved ice looks fantastic!